WST is still currently looking for talented individuals to fill staff positions in both of this season's productions. If you are interested, please visit our staff page for the most updated list of available positions. To apply, please submit your resume and cover letter by email to chairman@wst.org. The Board of Directors has voted and selected Side Show and The 25th Annual Putnam County Spelling Bee (rights pending) for the 2018-2019 season!!! Applications are now open for all Staff positions, and priority interviewing will happen around the new year! Congrats to the cast, crew, pit, and staffs of Heathers and Little Women! To keep up-to-date with Wildwood Summer Theatre, follow us on social media or subscribe to our newsletter. In conjunction with the Arts Barn through the Theatre Arts Partnership program (TAPP), we have been voted one of the best community theatres in Montgomery County. For more detail, please visit the city of Gaithersburg's website. More roles cast, more wonderful actors to grace the stage. To see all updates, please refer to the Cast page under the Current Season tab, or click here. Ahead of our upcoming productions of Heathers and Little Women this summer, Wildwood Summer Theatre, the DC area’s only entirely youth-run community theatre company, is excited to host our second annual Company Gala! With food, drinks, and performances, this event is a celebration of WST and the greater theatre community. Current members, alumni, friends, family, community members, and theatre lovers are invited to join us for what is sure to be a wonderful evening! Do you want to showcase your talent on our Gala stage? Please fill out our performance form (found here) and submit a video of your performance to fundraising@wst.org. We will contact you if you are chosen to perform. Please submit by May 25th! Calling All Musicians & Tech!!! 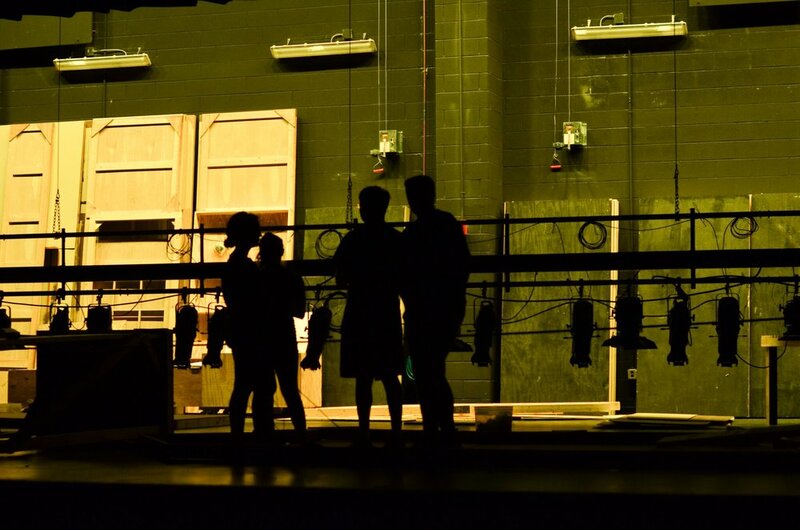 If you have any interest in working in the crew or playing in the Pit Orchestra for either of our upcoming productions, please refer to to their respective pages -- found under Current Season -- for who to contact. WST is still currently looking for talented individuals to fill staff positions in both of this season's productions. If this is of any interest, please visit our staff page for full details. Pit Orchestra Audition Information is up!!! All you need to know about how to audition for the pit for this season's productions can be found on the "Pit" page in the "Current Season" tab, or click this link. To sign up, please refer to the Auditions page under "Current Season," or click here. Crew And Pit Sign-Ups Are Here!!! Pit sign-ups can be found here, and crew sign-ups can be found here. For more information, please visit our Facebook page or contact Liz Bragale at development@wst.org. Announcing Our 2018 Summer season!!! Interested in participating? For information on available positions, click here. WILDWOOD CELEBRATES SUCCESSFUL SEASON OF SEUSSICAL and SPRING AWAKENING! Wildwood is happy to share news of its successful 2017 season of Seussical and Spring Awakening! Both productions were extremely well reviewed (DCMTA - Seussical, MDTG - Spring Awakening, BWW - Spring Awakening, DCMTA - Spring Awakening) and received very positively by audiences. We extend our deepest gratitude to the staff, cast, crew, and pit of both productions, and look forward to working with you in future years. Finally, thank you to those who attended our shows, whether it was for the first time or the 56th! We could not accomplish all that we do without your support, and we are proud to make theatre with you. Thank you! Are you interested in working on crew for our upcoming season? Head over to wst.org/crew and enter your information to be added to the email list! Still want to get involved with our upcoming season? Send your resume and cover letter to chairman@wst.org for one of our remaining staff positions! Congrats to our cast of The 25th Annual Putnam County Spelling Bee! Congrats to our cast of Side Show! Make sure to sign up for auditions tomorrow! We will also not be accepting video auditions after 4pm tomorrow! !